Sackler Gallery Entrance. 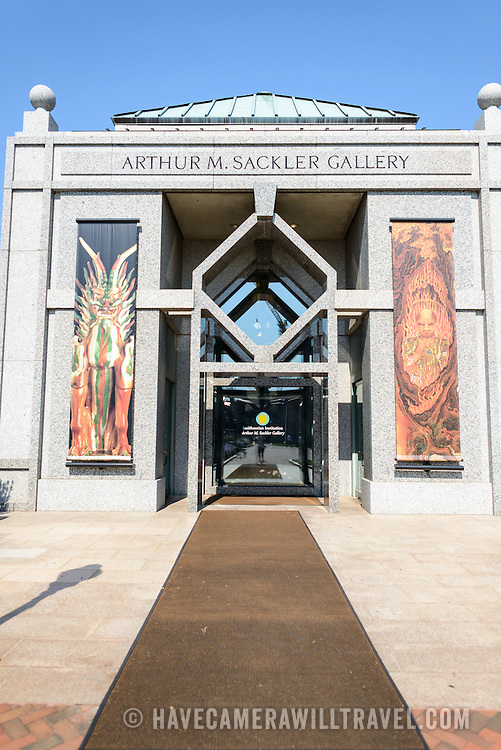 The entrance to the Arthur M. Sackler Gallery. Located behind the Smithsonian Castle and nearly entirely underground, the Sackler Gallery showcases ancient and contemporary Asian art. The gallery was founded in 1982 after a major gift of artifacts and funding by Arthur M. Sackler. It is run by the Smithsonian Institution.